I used the heart-speech-bubble from Perfect Tune and colored it up 13 times. I am a sucker for rainbow, so I really really love how this turned out! I think the Hypnotize Background really gives some movement to that little Penguin from Penguin Party. I blue. embossed it and used some stormy sky Distress ink for some emboss-resist. 3) Sonnenschein - na endlich. 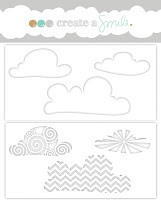 This was my "try-out" card when I created the clouds-stencil for our store - and I jumped up and down when I saw how this turned out. (They are probably my fav stencils in my drawers). 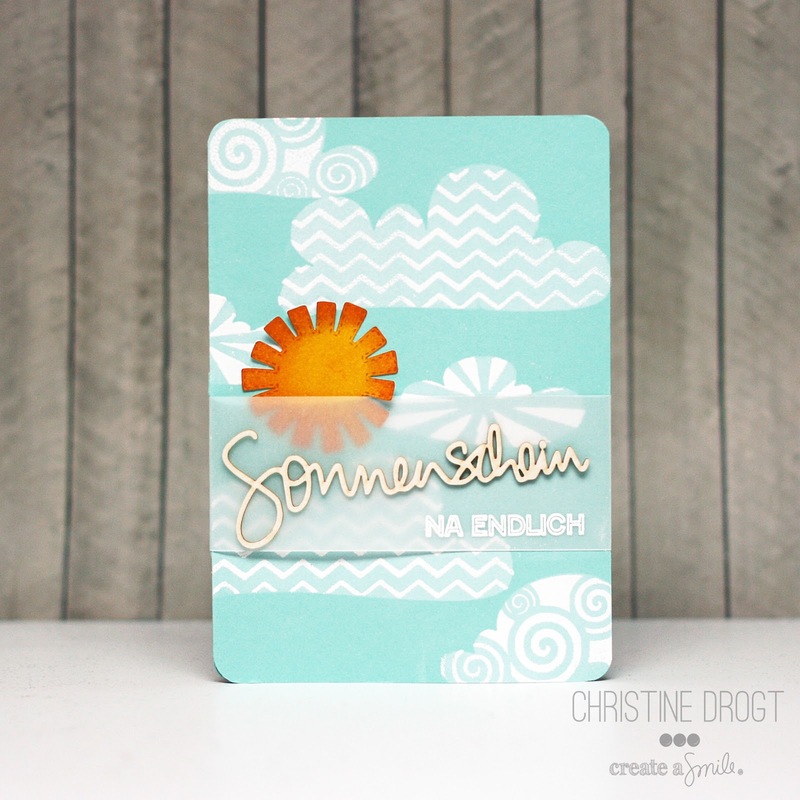 The sentiment was made using the "Sonnenschein"-chipboards and a sentiment from "Für Alle Fälle". It says "Sunshine - finally". 4) My fav image.. little Mr. Beaver (I think he should have a name.. although "Mr. Beaver" sounds nice!) And some printed digital papers - Pretty simple! Did you see that Perfect Tune has sentiments in different languages? French, Spanish, English, German. So this little cockatoo (from Jungle Fever) might be a spanish guy. I also used the "Say it!" 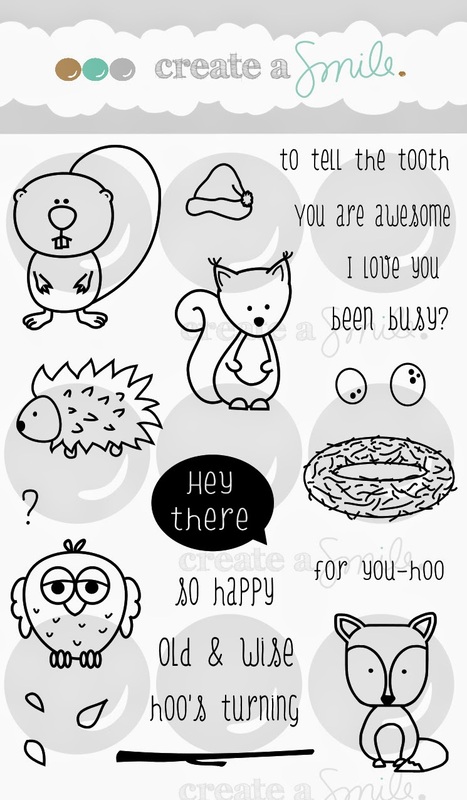 Stencil - looove all the speech bubbles! 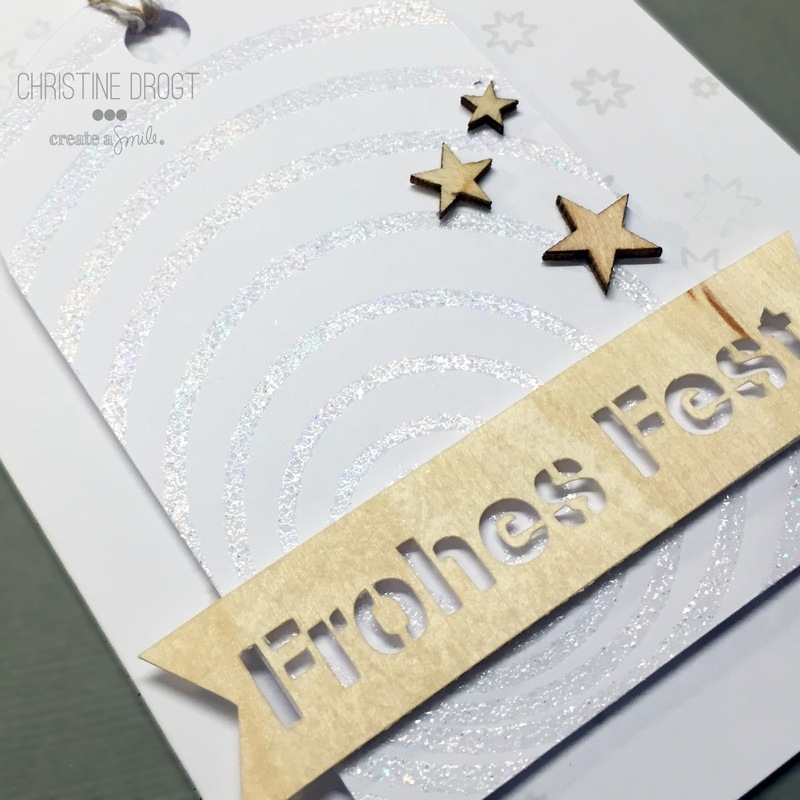 Last is a pretty elegant card using stars from Whimsical Wheels and the Hypnotize background with glittery embossing powder. (WOW! Clear Sparkle) I cut the sentiment (saying Merry Christmas) from some real wood paper using my Silhouette... I should do this more often! 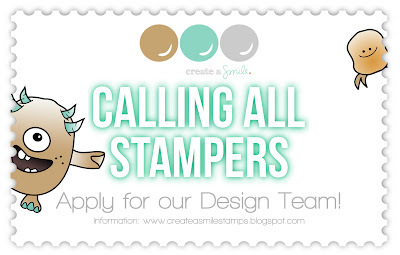 Oh, and don't forget - you have until tomorrow to apply for the Create A Smile Design Team! So much fun eye candy! Was für hübsche Karten, dei Biber mit Herz, darauf muss man erstmal kommen! A great collection of artwork Christine, you have a lovely style of crafting. Thanks for joining us at Allsorts challenge. What a great series of cards! Love them! Especially the word clouds at your first card! I soon as I saw that Hypnotize Background I knew I have to have it - gorgeous cards! So pretty cards! My favorite is the first one with the rainbow clouds! Lovely cas card with the glitter. 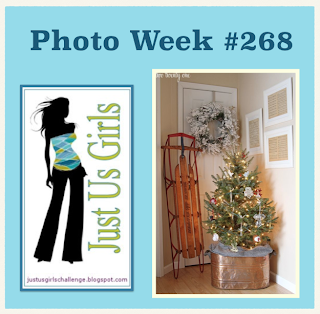 Thanks for joining us at Just us Girls for our Photo Inspiration Challenge. Thanks so much for playing along with us at ATSM this week! We always enjoy seeing your creations! What a beautiful modern Christmas card! I love your bg and layout. Thanks for joining us at Inkspirational! What a fabulous cards you've created! Thanks so much for playing along at CCCB!! This is a stunning collection of card. 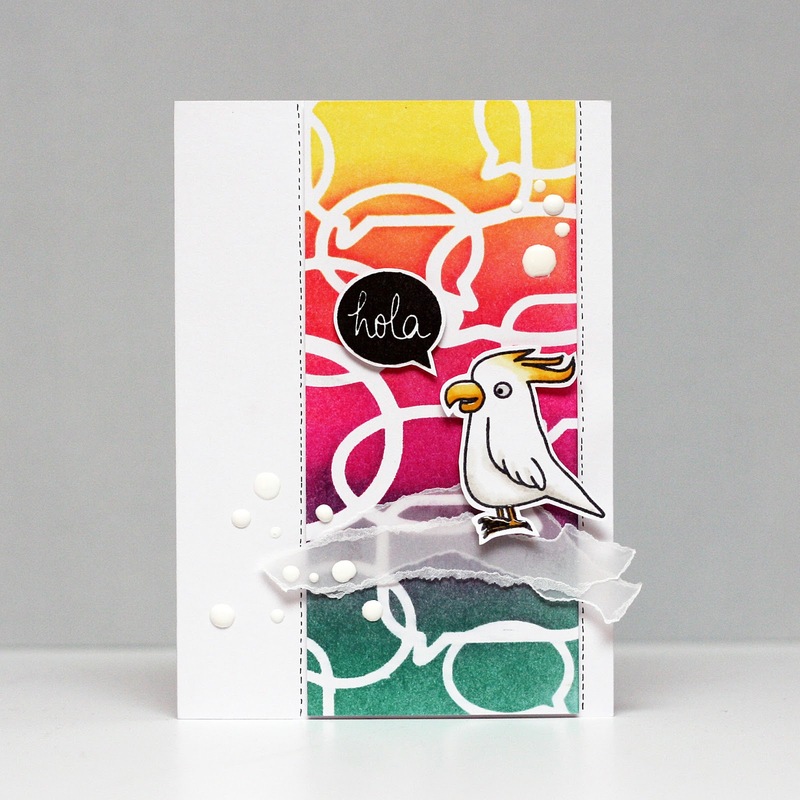 The "hola" card is spot on our challenge but to be honest; i think they are all amazing! And I am in awe of that heart-speech-bubble card ;) Thank you so much for being with us at CCCB this week! So enjoyed looking through all your cards Christine...Thrilled you played along with the girls and I at Just Us Girls. 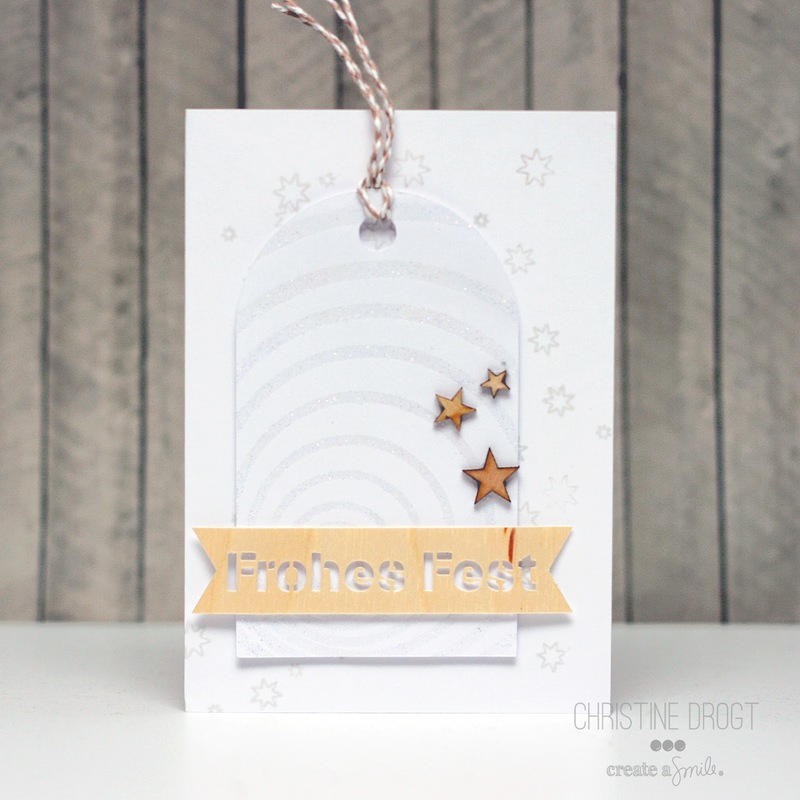 Love the added stars and the clean look of your one for our challenge! Hope to see you again soon! Beautiful cards! Thanks so much for playing along at CCCB!! FABULOUS collection of cards Christine! 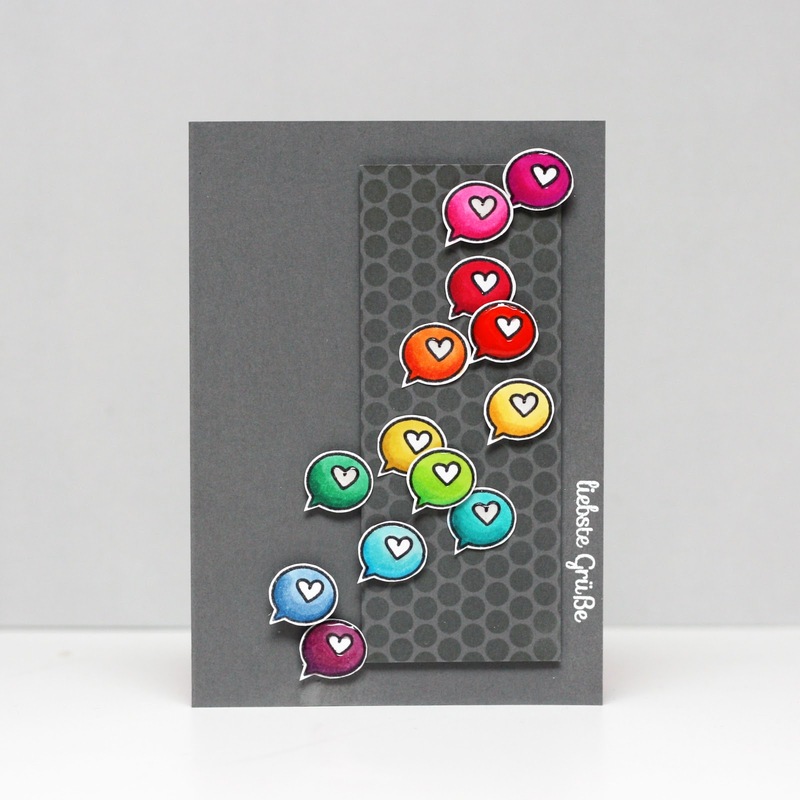 Showcasing your Create A Smile stamps, stencils and chipboard perfectly! 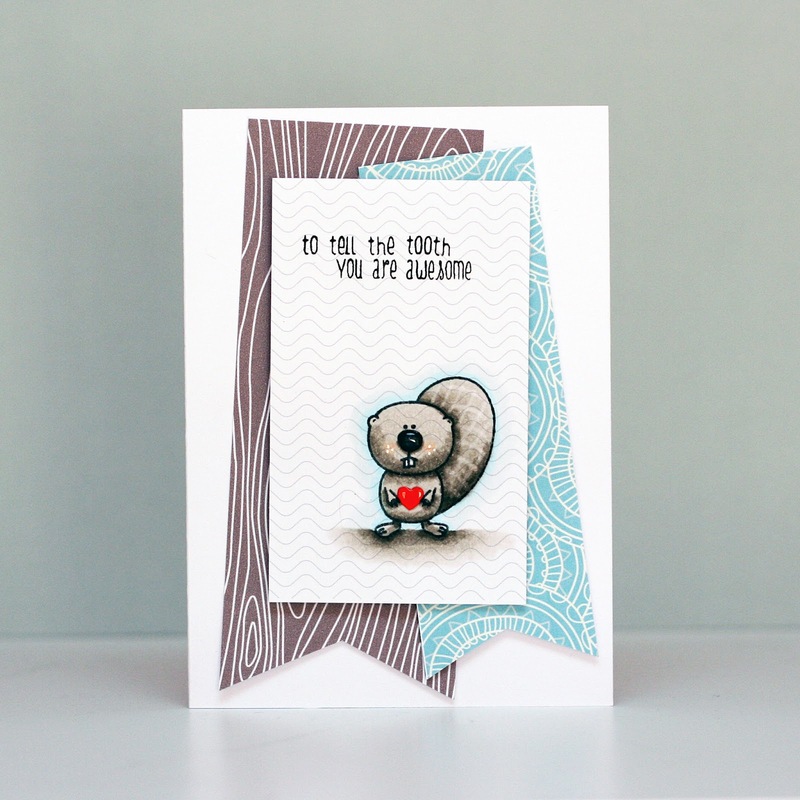 Love how simple & clean your card is with the glitter embossing and wood sentiment. 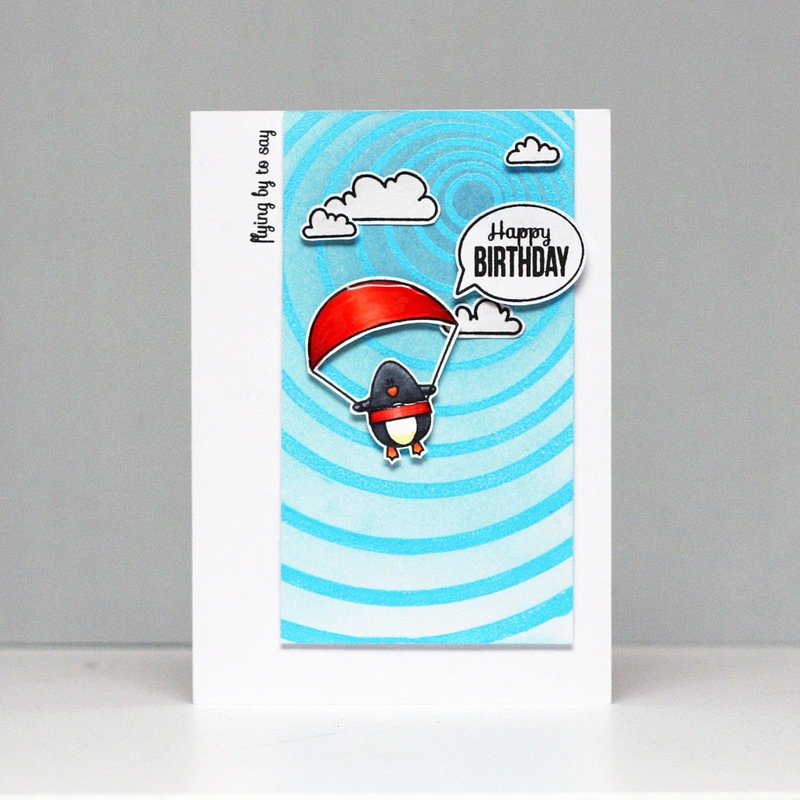 Lovely weather card, your clouds look fantastic!